Get rid of dark circles and puffiness under your eyes! 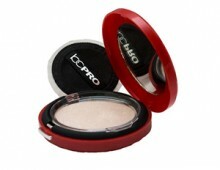 Three essential tones of putty, peach, and beige neutralize skin imperfections and shadows. Micro-milled, coated pigments reflect light away from shadows and imperfections. Featherweight formula has real staying power with no creasing. 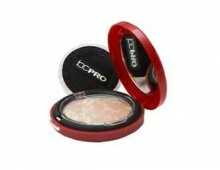 Actually neutralizes redness, shadows, and any tired appearance in eye area. Can be used anywhere in the facial area. Will not penetrate, clog or block pores due to specific molecular structure. Please note: This product no longer comes with sponge applicator shown in photo. The Putty Color neutralizes red and purple tones in the face. The Peach Color brightens under-eye circles, neutralizing blues and grays. 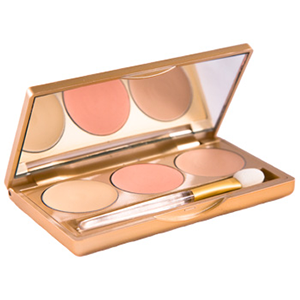 The Beige Color acts as a general-purpose corrective concealer and matte highlighter for the entire face. The key to this formula is the special pigments, which actually reflect light away from shadows, lines, and discolorations on the face. Brenda recommends wearing Color Remedies over Magnet Remedies Eye Serum for long-lasting, stay-in-place, all-day application. No more lining under the eyes. Wear the Beige as your perfect eye makeup base. Deluxe eyeshadows glide on and stay! Individual Color Remedies are also available. Color Remedies reflects light away from lines and shadows in the face and these imperfections seem to disappear. It is not necessary to powder over Color Remedies. If you experience any creasing, please use less product. Color Remedies stays in place all day and may be worn under or over foundation. Color Remedies contains three colors is so that you can neutralize imperfections using color theory instead of heavily covering, so a very tiny amount of Color Remedies is recommended. Use Putty Color Remedies to block red and purple tones in the face caused by broken capillaries, blemishes or thin eye tissue around the eyes. Apply Putty color with the side of the Brenda Christian Tapered Sable Brush. Press color with your ring finger tip and allow your finger to linger briefly. The warmth of your finger will blend Putty Color neutralizing red and purple tones. Apply Peach Color Remedies to brighten and enhance eyes. Press five strokes under eye with the flat side of the Brenda Christian Tapered Sable Brush. Press with ring finger to blend. Watch gray tones miraculously disappear. Use Beige Color Remedies to seriously minimize lines, add light to selected areas of the face and as an eye-makeup base. When applying Beige as an eye makeup base, use the side of the Brenda Christian Tapered Sable Brush. To diminish lines, work with the tip of the brush in the center depth of a wrinkle or shadow. Beige can also be used to enhance features and make thin lips appear fuller. Naturally occurring Beeswax forms a network that holds Color Remedies in place for hours. State-of-the-art coating for pigments reflects light away from lines, wrinkles and skin imperfections. Brenda Christian selected pharmaceutical grade Mineral Oil to hold pigments in her Color Remedies because of its large molecular size. This allows the formula to simply sit on top of the skin without penetration which allows Color Remedies to last throughout the day and not cause comedogenicity which can occur when a natural oil with a smaller size molecule is used.